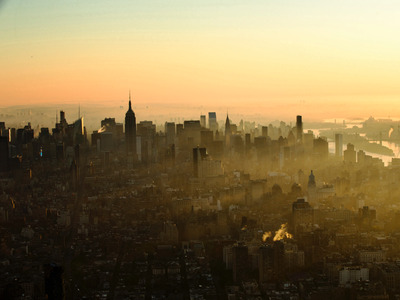 Lucas JacksonSmog settling over a New York City on a summer day. For travellers with the gleam of the Big Apple in their eye, nothing seems better than New York City in the summertime. Restaurants have outdoor seating, there are festivals all over town, and you won’t have to worry about bringing your jacket to the Top of the Rock. Here’s the reason why there is no way to escape the stench of the city in the heat of summer. New York City has the highest population density in the country, and at 8,550,405 people roaming the nation’s melting pot, it’s bound to get smelly. A census conducted last July showed that NYC has a population density of over 27,000 people per square mile. To put that into perspective, the US on average only holds 80 people per square mile. That much combined body odor alone could be enough to scare one away from the city. With such an insanely huge amount of people living in just one city, it should come as no surprise that there is also an insanely huge amount of garbage produced. Although residents of the city produce over 12,000 tons of waste every day, New York City doesn’t actually have any of its own landfills or incinerators. Garbage piles up in dumpsters around the city until it can all be taken across the Hudson River to be incinerated in New Jersey, or, if possible, recycled locally and overseas. But even after most of this waste has been incinerated across the river, strong winds can still carry the stench back over to the city on a hot day. The sheer amount of garbage isn’t the only problem. There also has to be a way to get all of it out of the city. Diesel trucks carry garbage out of Manhattan 7.8 million times each year. Let this sink in: That’s the same as driving around the Earth 312 times, and that’s just for one city. 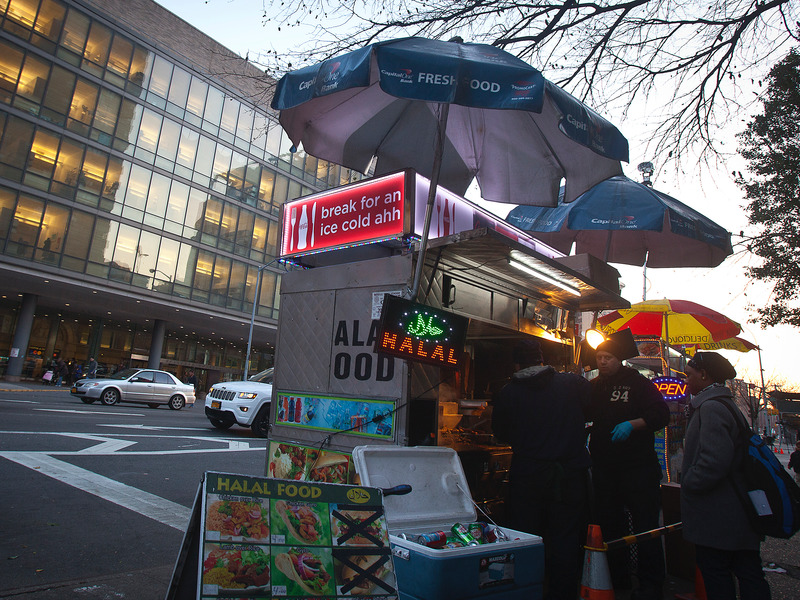 Carlo AllegriHalal food truck in Manhattan. All this driving only adds to pollution and the greenhouse effect, causing the city to become warmer and warmer (and smellier) as time continues. It turns out that the combination of heat and humidity allow bacteria to grow faster and smells to travel further. Increasing temperatures mean molecules move faster, resulting in enzymes speeding up metabolism and cells quickly increasing in size. Heat is basically bacteria’s best friend. So, when you get stuck with one those incredibly humid days, smells only become more potent. The water in the air causes these odours to dissolve, trapping them longer than if it were a dry day outside. 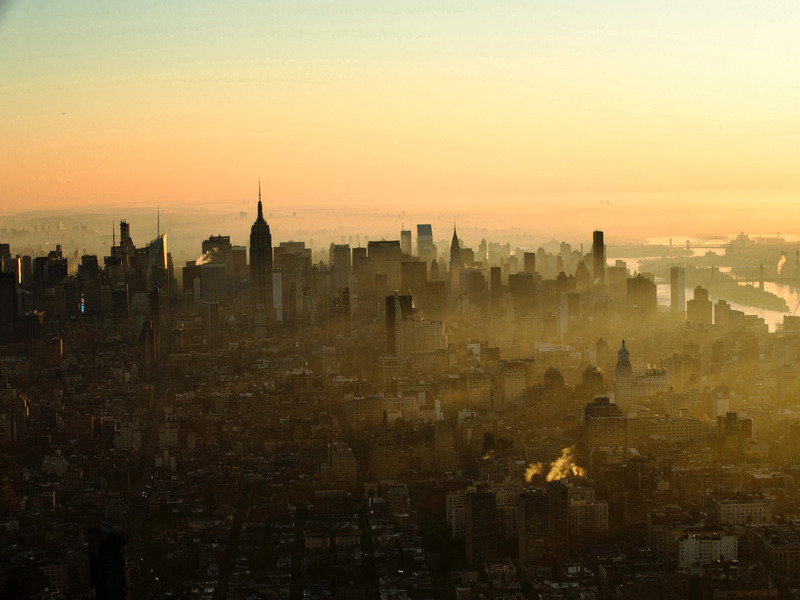 To many, New York is the city of dreams, but you have to be willing to accept it for the good, the bad AND the smelly.